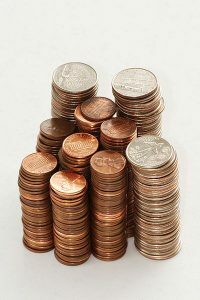 What Is a Wage Differential in the Illinois Workers’ Compensation System? Home » What Is a Wage Differential in the Illinois Workers’ Compensation System? The Illinois workers’ compensation system requires employers and/or their insurance carriers to pay certain benefits to their employees for any injuries and illnesses they sustain during the course and scope of their employment. Many of you may already be familiar with such key workers’ compensation benefits as employer-covered medical treatment and temporary total disability payments, but there is another benefit that can prove essential to an injured worker’s financial security – the “wage differential.” And what is a wage differential? Join GWC for a brief look at the role of wage differential benefits in the Illinois workers’ compensation system. Medical Benefits – An Illinois worker is entitled to bill payment for reasonable, related medical treatment for a work injury, covered 100 percent by the employer or the employer’s workers’ compensation insurance carrier. • Reaches Maximum Medical Improvement (MMI), meaning that the work-related medical condition has been stabilized to the point that no major changes in health can be expected. Permanent Partial Disability (PPD) Benefits – Additionally, an injured worker may receive compensation for the permanent nature of a work injury based upon the body part injured, if applicable. PPD benefits are typically paid out in a lump-sum settlement. A worker may be entitled to receive PPD benefits for the permanency of an injury even if that worker returns to his or her previous job. However, there are many cases in which a worker may be unable to return to his or her old job because of permanent medical restrictions, even after reaching MMI. In such cases, that injured worker will need to find a need job that can accommodate his or her post-injury medical restrictions, one that could pay less and thereby significantly impact lifetime earning potential. In these circumstances, the Illinois workers’ compensation system offers a benefit to help offset lost future earnings – the wage differential. A wage differential is designed to offset the economic impairment of the reduction in the wages that a worker earns at a new position that can accommodate post-work-injury medical restrictions. In the Illinois workers’ compensation system, a worker may be entitled to receive two-thirds (2/3) of the difference between what he or she would be making at the time of settlement in the previous job as opposed to what that worker could make in a new job. Under current Illinois law, the worker would be entitled to receive that payment until age 67 or for five years, whichever is greater. To see the wage differential in action, imagine a 57-year-old construction worker making $90,000.00 per year who sustains an injury on a job site. He files a workers’ compensation claim for his injury, but even after undergoing extensive employer-covered medical treatment and reaching maximum medical improvement, the construction worker has permanent medical restrictions that prevent him from returning to his job. In seeking new employment that can accommodate his medical restrictions, he can only find a position that pays him $60,000.00 per year – a $30,000.00 reduction in annual salary or a loss of one-third of his future earnings. To help offset the economic impact of the injured construction worker’s change in employment, the Illinois workers’ compensation system allows him to pursue wage differential benefits equal to two-thirds of his annual $30,000.00 wage loss – or $20,000.00 per year – until he reaches age 67 ten years from now. Under these circumstances, the injured worker would be entitled to maximum total lifetime wage differential benefits of $200,000.00 (assuming no other changes). Will the Settlement Reflect the Full Wage Differential? While the injured worker in the above scenario may technically be entitled to a wage differential benefit of $20,000.00 per year for the next decade, that does not mean that his employer or its workers’ compensation insurance company is going to send him the appropriate wage-differential compensation at each pay period. More commonly, the total wage differential incurred over the course of the remainder of his working life would be reflected as part of a lump-sum PPD settlement. However, even though the lifetime wage differential could be as much as $200,000.00, the workers’ compensation carrier likely will not simply tender that amount today. In the insurance company’s mind, it owes the injured worker a maximum of $200,000.00 by a date ten years in the future in the worst case scenario. For this and other reasons, the wage differential element of any lump-sum PPD settlement is typically the product of an extensive negotiation between parties representing both the injured worker and the worker’s employer on the basis of Present Cash Value (an amount paid at the time of trial that, when invested at a non-speculative rate of interest, would equal the amount that would be paid over the course of a worker’s remaining career). So how can you make sure that your workers’ compensation settlement more accurately reflects your wage differential? In situations like this, many injured workers find that they benefit the guidance of an experienced and knowledgeable workers’ compensation attorney, such as the Illinois workers’ compensation attorneys at GWC Law. With over $2 billion recovered for our clients and offices throughout the state, GWC is one of the premier Workers’ Compensation and Personal Injury law firms in Illinois. If you have been injured on the job, please contact GWC today to schedule free, no-obligation consultation with one of our workers’ compensation attorneys. Call us at (312) 999-9999 or click here to chat with a representative at any time.